What a year 2018 was for Sidle Entertainment! Each month was full of awesome events that our all-star cast had the pleasure of performing at. Our portfolio continues to expand based on the type of events we performed at. Below are just a few of the highlights from 2018, bring on 2019! The NBA All-Star game was held at the Los Angeles Staples Center in February, 2018. The halftime performance featured N.E.R.D and Migos, accompanied by our Sidle Entertainment drumline. Our cast prepared all week for the big performance, which included music recording, staging, designing, and collaboration with the other entertainment acts. We even employed 4 professional brass players to support the song Stir Fry by Migos. A pleasure to perform in one of the greatest halftime performances of all time! May came around and our cast received the opportunity to head to Central California to perform at the annual Lightning in a Bottle Festival. Not only was it the first time our guys performed at a week long festival, but it was also the first time for each of our cast to experience Lightning in a Bottle. Our cast performed on the main Lightning stage as well as performed at numerous locations on the campground for fellow festival attendees. We stayed in tents each night and got to enjoy the beauty of the festival everyday. What an experience. On Father’s Day we had the opportunity to perform at Westlake Calvary Church. Our performers played along to the worship set as a gift to all the fathers. It was an amazing experience for both the performers and the congregation. We were invited back to perform for Christmas Eve, this time with our drums lit up during “Little Drummer Boy”. It was a beautiful service. Throughout the NFL Season, Sidle Entertainment continued to spend many weekends as the Los Angeles Chargers Thunderbolt Drumline. As the Chargers had their most successful season since 2009, the Thunderbolts energized and entertained the growing fan base in the tailgate area, around the stadium and on the field. As part of the NFL International Series, some of our performers had the opportunity to travel to London to perform as the Chargers "hosted" the Titans in the historic Wembley Stadium. Fast forward to end of December, where a few of our performers had the opportunity to perform in an NFL on Fox commercial for week 17 football. The lights on our drums were on full display as our guys drum through the intensity for the final week of football in 2018. What a way to end the year! The calendar is quickly filling up for 2019 as we continue to perform at sporting, corporate, and media events. 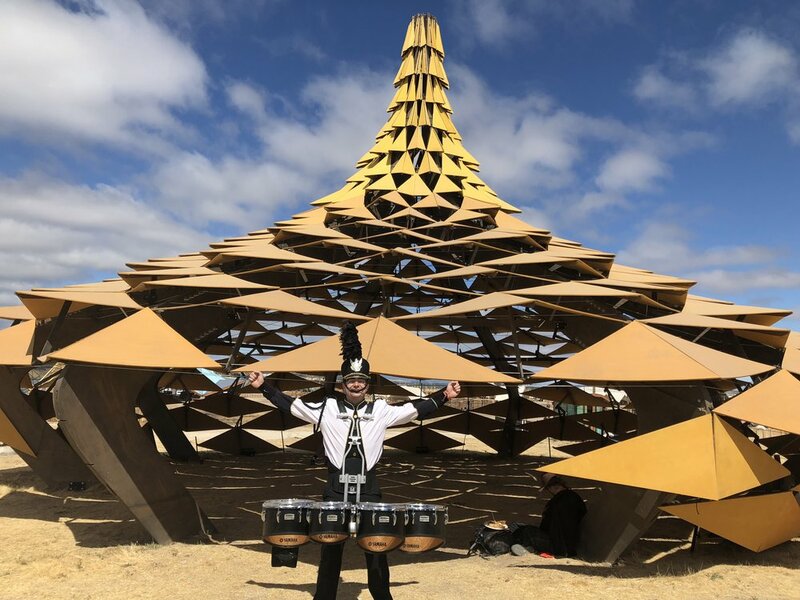 Head to our booking page to experience the best professional drumline on the west coast. We cannot wait to perform at YOUR event.